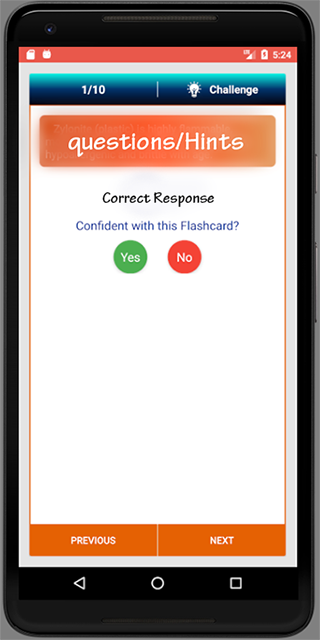 A-EMT Exam Flashcards 2018 EdAdvanced Emergency MedicalTechniciansfunction as part of a comprehensive EMS response, undermedicaloversight. Advanced Emergency Medical Techniciansperforminterventions with the basic and advanced equipmenttypically foundon an ambulance. The Advanced Emergency MedicalTechnician is alink from the scene to the emergency health caresystem. NationalAdvanced Emergency Medical Technician certificationrequiressuccessful completion of both a cognitive (knowledge)andpsychomotor (skills) exam. Passed portions of the exam(bothcognitive and psychomotor) remain valid for up to a twelve(12)month period, provided all other requirements forNREMRcertification are met.This certification is offered by theNationalRegistry of Emergency Medical Technicians (NREMT)The NREMTAdvancedEmergency Medical Technician (EMT) cognitive exam is alinearcomputer based test (CBT). Each candidate will answer 135questions(items). The maximum amount of time given to complete theexam is 2hours.The exam will cover the entire spectrum of EMScareincluding: Airway, Respiration & Ventilation; Cardiology&Resuscitation; Trauma; Medical; Obstetrics/Gynecology;EMSOperations. Items related to patient care are focused on adultandgeriatric patients (85%) and pediatric patients (15%). In ordertopass the exam, candidates must meet a standard level ofcompetency.The passing standard is defined by the ability toprovide safe andeffective entry level emergency medical care.Enjoythe app and passyour Advanced Emergency Medical Technicians, AEMT,NationalRegistry of Emergency Medical Techniciansexameffortlessly!Disclaimer:All organizational and test namesaretrademarks of their respective owners. This application isaneducational tool for self-study and exam preparation. It'snotaffiliated with or endorsed by any testingorganization,certificate, test name or trademark.